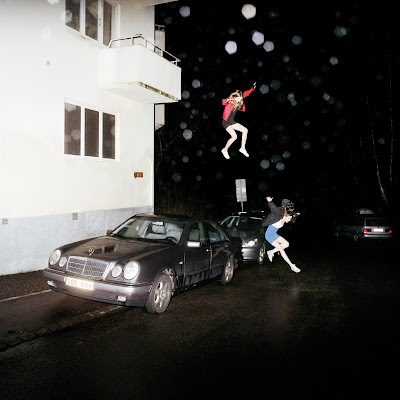 Very few bands manage to shake the internet like Brand New. Artists like Radiohead, Kendrick Lamar, Beyonce, Kanye West, Jay-Z, all manage to do it but for a band like Brand New to fit in that mold, not only are they the odd men out, they seem to love it. Their alleged final album was supposed to arrive last year and after a massive tour, they announced that in 2018 they would be calling in quits. Since 2015, they have released a new single each year leading up to a potential new record and leaving fans guessing as to when and what will come of new music they have been working on for close to a decade. They would take to their Instagram page and post cryptic messages about being in the studio, sometimes they would alter the look of their website, even their label, Procrastinate Records confirmed new music was on the way... but when? Eight years after they released their critically acclaimed album, Daisy, the Long Island rock band announced earlier this week that their new album was coming in October and pre-sale for a $45 vinyl which ships in October was the only info around. Well, on Thursday, 500 lucky fans who managed to snag one of the 5,000 copies of the vinyl pre-order were shipped a CD overnight and it contained one 61-minute song that would make up the new Brand New album. As fans posted to Reddit, the music world sort of flipped into the Upside Down World of Stranger Things trying to hear the album. Later in the day, the band confirmed that the record is called Science Fiction, and is available for download and physical formats including CD and a different vinyl than the one they had on pre-sale earlier in the week went on sale. The physical versions will also ship in October. For more info on the new record and to get it, click HERE.